2nd Netflix Ultraman Trailer Released Online! 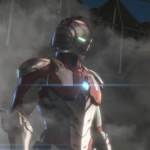 The Netflix CG Anime adaptation of the Ultraman manga releases in well over a month, in preparation for the April 1st, 2019 launch a new trailer for said Anime was recently released online. This new trailer features plenty of new action sequences, with clips of Ultraman Suit A and Suit Ver.7.5 and a snazzy suit-up sequence. 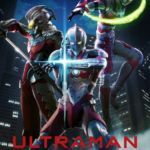 First Netflix Ultraman Anime Trailer Released! 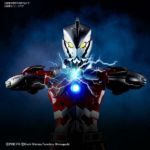 In the initial announcement, the Netflix Ultraman Anime was announced for a worldwide simultaneous release scheduled for April 1st 2019, though whether or not this will include subtitles for internationals remains to be seen. The Ultraman Manga acts as a sequel to the original Ultraman taking place several years after the fact. In it, Shin Hayate’s son Shinjiro battles monsters as the new Ultraman. In the meantime, you can watch the trailer in the box below and be sure to hit the jump and let us know what you think about this exciting new outing for Ultraman!